Looking for a way to stay connected during your camping vacation at Champions? 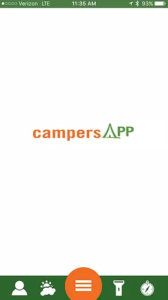 Look no further; campersAPP is here! 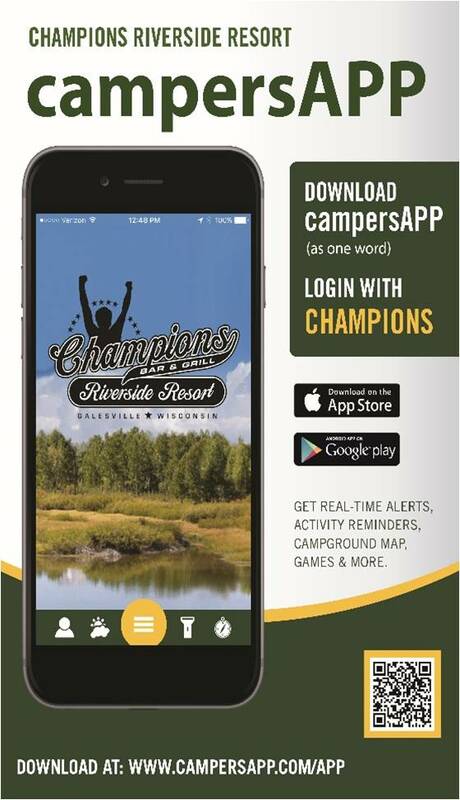 This free app is a great tool for all of our campers at Champions Riverside Resort! 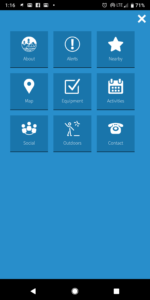 It gives you updates on weather, news, activities, and more. 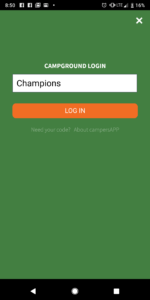 Now that you’ve downloaded campersAPP, it’s time to log in. This should be what your screen looks like when you open the app for the first time. Click on the person symbol in the lower left corner. It should be one word, no spaces. Capitalization doesn’t matter. Feel free to explore this screen and learn more about Champions. The activities screen is updated each week with the latest events and activities going on at Champions Riverside Resort! Click on the person symbol in the lower left-hand corner. Click on the “Settings” button, then you can see notification settings. By activating the “Activity Reminders,” you will get a notification 15 minutes before activities start. Activating “Game Notifications” means that you will get an alert when someone starts a game on campersAPP such as basketball and gaga ball. 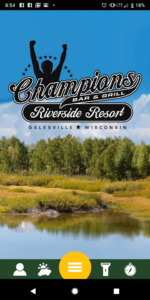 You can always turn off notifications when you aren’t at Champions, just don’t forget to turn them back on when you are back at Champions Riverside Resort!